My intrepid canyoneers and explore the tropical paradise of Cebu, Philippines, to conquer our fear of heights by taking a leap of faith. The Aug. 4, 2018, Badian Canyoneering tour comprised a scenic, three-hour trek across streams,up ridges over bridges, under waterfalls and through lagoons. 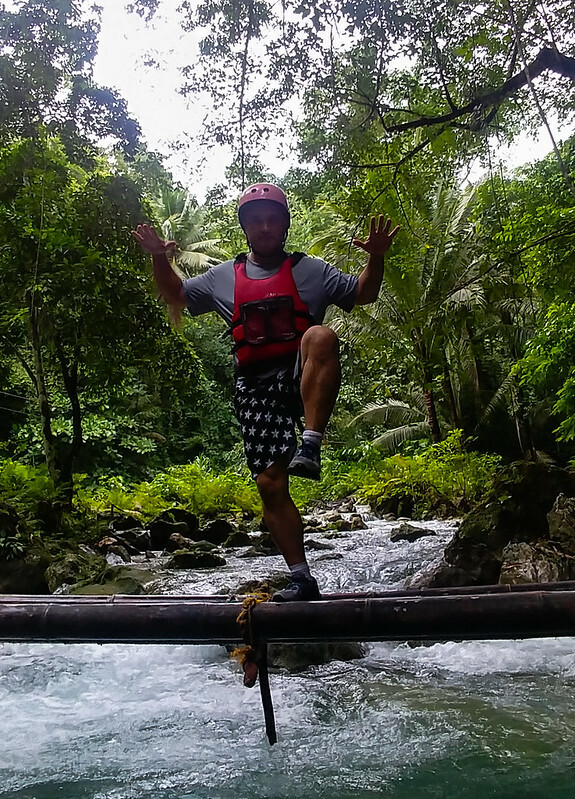 The expedition culminated in a 45-foot plunge down Kawasan Falls. The adventure forged new friendships partially by pumping the team up with an adrenaline rush permanently etched in our memories. Special thanks to our guides, Roy and Ray, for helping us keep our wits and documenting our journey though their beautiful country. Image published by LimpingFrog Productions on 2018-08-09 02:56:22 and used under Creative Commons license.